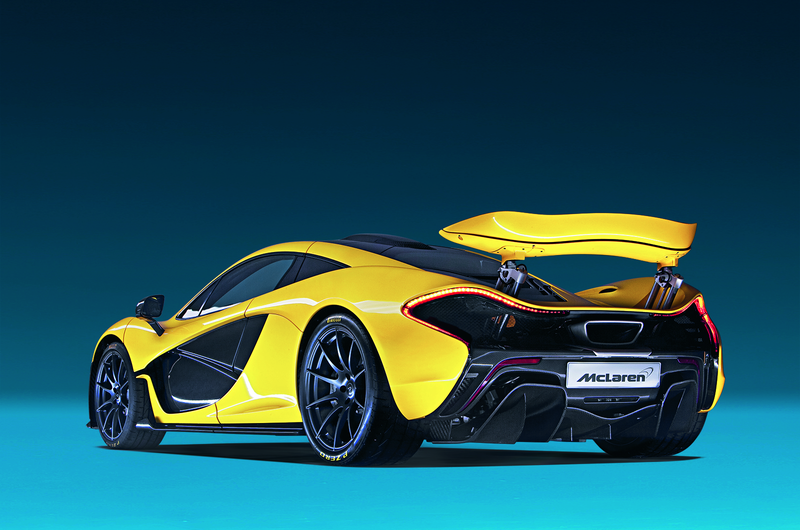 Some Facts about the McLaren P1 via AutoCar. 4. The interior's carbonfibre has had its top resin layer removed. It gives a more natural look and saves 1.5kg. 8. The IPAS system's battery weighs 96kg and has six modules, each carrying 56 cells. Power can be transferred between cells, to ensure the maximum battery power is always available. The P1 can run on electric power alone at up to 99mph and has a 6.5-mile range based on the combined European driving cycle. The battery is lifed for 10 years, based on the expected usage of the car, provided it is maintained properly. 10. The battery charges using surplus power from the engine, or it can be plugged in and charged in two hours on a standard charge or 10 minutes on a fast charge. The V8 engine can also be used as a generator in preparation for electric use. McLaren took the decision not to recoup power from the brakes, as it felt the loss of brake feel far outweighed the benefits. 12. With the rear wing extended to its maximum 300mm and angled to its maximum 29deg, and the front wings adjusted to their most extreme setting, the P1 develops 600kg of downforce. This is achieved at 160mph, after which the front and rear wings adjust to shed any additional downforce. If they didn't do this, the amount of downforce generated by the P1 (around 1000kg at 217mph) would require its suspension to be reinforced. 13. A Drag Reduction System (DRS) mimics that used in Formula 1. It is operated by a button on the steering wheel and within half a second can flatten the wing angle and reduce drag by 23 per cent. It deactivates if the button is released or if the driver brakes heavily or steers significantly. 14. Another F1-derived performance enhancement is McLaren's Brake Steer system. Pioneered in the sport in 1997, and subsequently banned, it uses the ESC system's hardware to brake an inside rear wheel if the P1 enters a corner too fast, in order to tuck the nose in. 15. The carbon-ceramic brakes are infused with a surface layer rich in silicon carbide — one of the hardest substances known. It delivers immense stopping power close to 2g, good pedal feel and greater heat dissipation and durability. The materials were first seen on the Ariane space rocket.